If there was any time for an upset, it was Saturday at Montrose Harbor, the site of the 2011 UAA Championships for cross country. It had the desired ingredients: a home site, fair weather, a lakefront location, a pro-Chicago crowd, and fast-paced competition. But it was not to be. The 10th-ranked men and 33rd-ranked women finished third and fourth respectively in the first postseason race. While the results were not surprising, they were not as high as either team had anticipated. Fourth-year Brian Schlick was hoping for at least a second-place finish for the men’s team. The women aimed high, but finished behind Wash U, NYU, and Emory. Fourth-year Jane Simpson finished 22nd overall with a 6,000-meter time of 23:34. She was also frustrated by the meet. 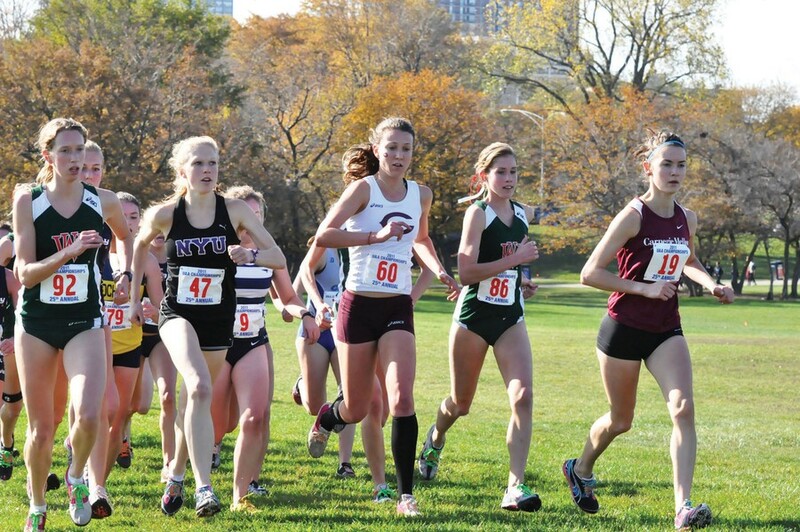 Rachel Ohman, a fourth-year who finished 10th in Saturday’s race, shared her opinion. For the women, the postseason began with a bad start. Despite the small size of the field and slightly muddy conditions, there was a good show of fan support at the Championship. Indeed, according to Simpson, the crowd size had its benefits, at least from a runner’s perspective. Ohman, who was named to the All-Association Second Team after the race, was thrilled with the atmosphere at the race, even though she was disappointed with her individual performance. Third-years Billy Whitmore and Isaac Dalke were named to the All-Association First Team. With the Midwest Regional Championship in two weeks, it’s time to excel and exceed expectations. The Maroons think they will be ready. According to Ohman, Saturday’s Championship should be used as a learning experience for the women’s team. In order to make it to the National Championship in Oshkosh, Wisconsin, the Maroons must perform well at the Midwest Regional Championship. The Midwest Regional Championship meet will take place at Saukie Golf Course in Rock Island, Illinois on Saturday, November 12. The race is hosted by Augustana College. The women’s 6,000m begins at 11 a.m., and the men’s 8,000m starts at noon.